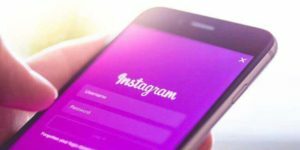 Ever since the Instagram algorithm was introduced, Instagrammers have been trying to figure out the optimal posting time, frequency, caption lengths, number of hashtags, etc. to help them get the most out of every Instagram post. You might have noticed that often times you don’t see every photo your best friend posts, but at the same time photos that are several days old randomly show up in your feed. Before the algorithm was introduced Instagram posts used to get half their likes in the first 75 minutes, but now this number got much higher, so don’t freak out if you don’t see a ton of likes right away. 1. Should I post on Instagram more often? 2. When should I post more often? Should I post on Instagram more often? 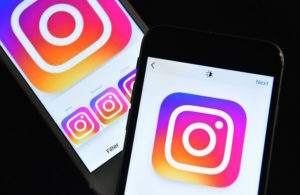 Once Instagram algorithm was introduced, some brands decided to tackle the issue head on and dramatically increase the number of posts per day - some businesses go as far as posting every 30 minutes! This can achieve two goals: first of all, people who live in all parts of the world and in different time zones can see the profile’s posts. Secondly, even if Instagram algorithm only shows a fraction of the posts in people’s feeds, the followers will still see a few pictures every day. Interestingly, a study found that there is no correlation between the frequency of posts and the engagement they get. So whether a brand posts once a day, 5 times a day or 48 times a day, they still get the same number of likes and comments, so more posting won’t necessarily get you more engagement. The bottom line is that you should pick a posting frequency that you can keep up. If you get into the frequent posting craze for a few months and then gradually start posting less frequently, you will lose followers just because people got used to a certain number of your posts per day and don’t want to see anything else. When should I post more often? While everything said above is certainly valid for your normal operations, there are times when you want to post more. Whenever you have a giveaway, an exciting promotion or a new product launch coming up, you want to amp up your posting frequency. You followers normally won’t mind that since they will be excited about whatever is going on. Plus, your engagement normally increases during promo times, so you won’t see a drop in likes and comments because of posting more. When you’re thinking about how many times you want to post per day, consider the amount of quality content you have and how quickly you can produce it. You want to keep your posts to a certain quality standard that your followers are used to, or you may be in risk of losing followers and engagement. If there is something you want to tell your followers but you don’t have a nice photo or video to go along with the message - use stories! Nobody expects those to look perfect and aesthetically pleasing.